A few days ago I went to an akhara early in the morning, it was a little windy like it is during those pre-monsoon days and the light was peculiar. 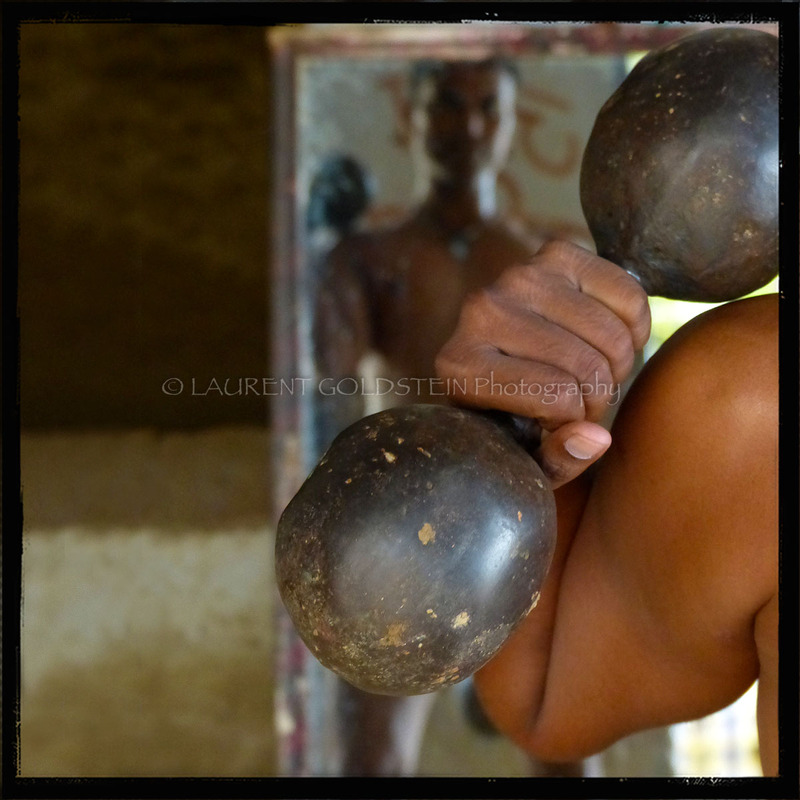 This picture was shot at the little akhara (gymnasia) located nearby Scindia ghat along the Ganges in Vanarasi (Benaras). Like many people in the Eternal city this pehlwan (wrestler) comes here every morning at dawn or before sunset in order to perform his daily physical training routine. Since the Mughal Era it became a way of living deeply connected to culture of Northern India, this art of wrestling is a synthesis of native malla-yuddha and Persian Varzesh-e Pahlavani. Through time Western training methods and nomenclature from Iran and Europe were introduced into Pehlwani. Wrestling competitions, known as dangals, held in villages can have their own rules variations.